Music: Jazz vocalist Zoë Fromer has been making the rounds of South Florida for years along with her studies at the University of Miami, building a reputation as a fine stylist (here she is singing in chanson mode singing Charles Trenet’s “Menilmontant”). 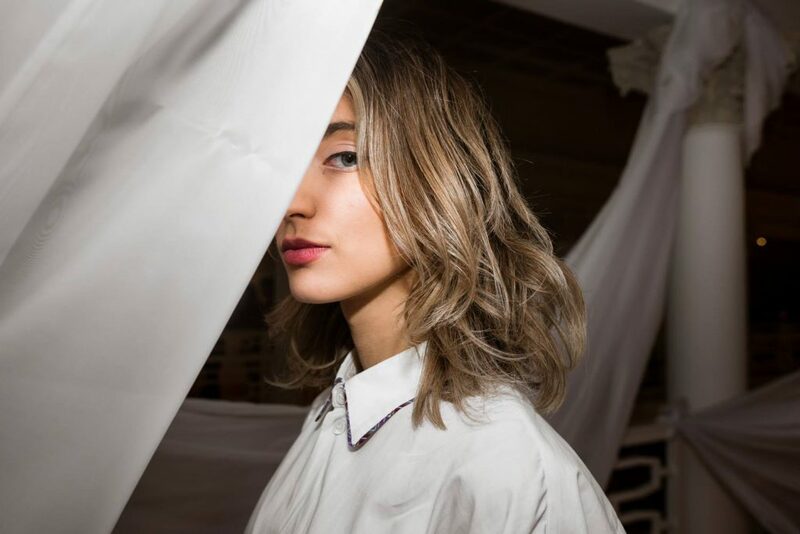 A native of Delray Beach, she’s making her last appearance in her hometown on Sunday night at Arts Garage before relocating to New York. We expect she’ll be back before too long, but if you want to wish her well and enjoy a singer with an elegant jazz touch, head down to First Street on Sunday; her concert starts at 7 p.m. See artsgarage.org for tickets and more details. 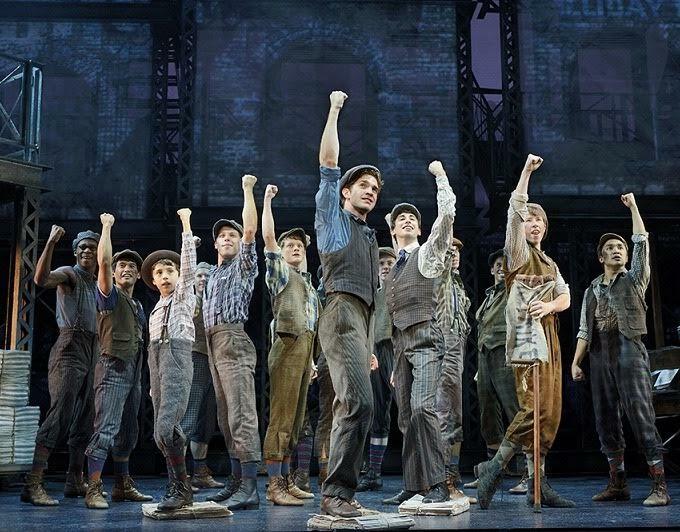 Film: Well, call it a film-theater hybrid, but this weekend the filmed version of Disney’s Broadway stage show Newsies plays in movie theaters throughout Palm Beach County (from Palm Beach Gardens’ Cobb Downtown complex to Boca Raton’s Cinemark Palace) and other South Florida locations. The Tony Award-winning show Disneyfies the strike by young newspaper hawkers against publisher Joseph Pulitzer. It’s a Davids-vs.-Goliath story with a stirring score by Alan Menken and lots of energetic dance. You could wait until next season and see the show live at the Maltz Jupiter Theatre or catch the national tour cast on film now. Go to www.newsiesthemusical.com for ticket information and show times. 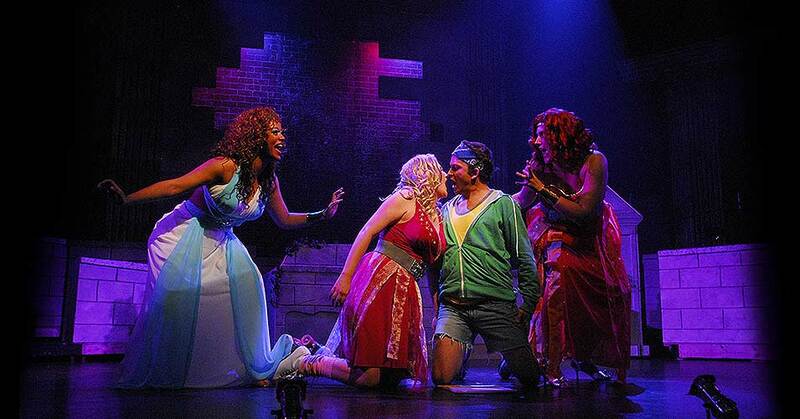 A scene from Slow Burn Theatre’s production of Xanadu. Theater: Slow Burn Theatre has been bringing back some of its successful past shows seen previously during the summertime, like Xanadu, a campy fable based on an 1980s roller disco movie about a Grecian muse who lands on Earth — in Venice, Calif., the skating capital of the day — to inspire an underappreciated commercial artist and a former big-band leader turned construction developer. Just accept it, OK? The movie wasn’t much, but with tongue planted firmly in cheek, the stage show is a sly hoot. It plays Delray Beach’s Old School Square this Friday, twice Saturday and Sunday afternoon (561-243-7922) before moving down to the Broward Center’s Abdo New River Room, Feb. 23–March 5. Labrador Duck, by Todd McGrain. Art: The sculptor Todd McGrain found himself moved by the shameful story of American bird extinction — caused by habitat loss and irresponsible hunting — and has memorialized once-abundant birds such as the Carolina parakeet, the passenger pigeon and the heath hen in somber, beautifully executed bronzes. 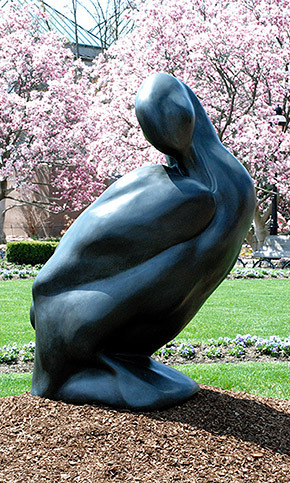 They’re on display through June 28 on the lawn of the Ann Norton Sculpture Gardens, accompanied by narratives and photographs. It’s heartbreaking to think of how many of these native birds once lived in our forests; flocks of passenger pigeons, holding as many as 1 billion birds, would darken the sky for hours at a time when Europeans first arrived here. See these sculptures and give some thought to the industrialization of greed and the terrible things it has wrought. For more information, visit ansg.org.